In July, Nova Launcher began testing a new feature in v5.4 beta: Sesame Shortcuts. 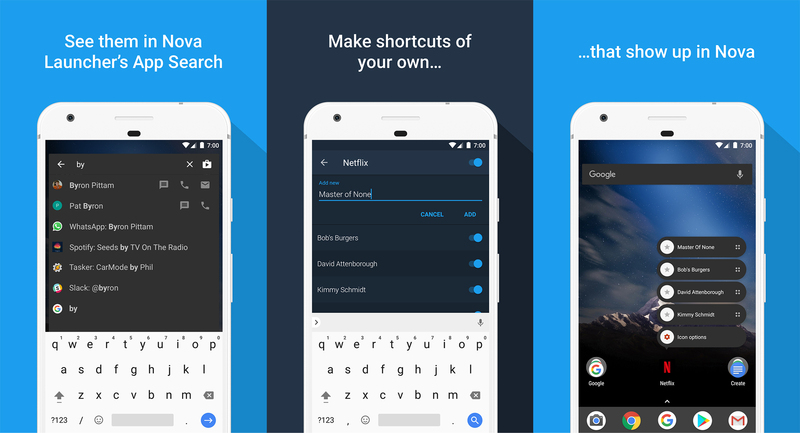 Thanks to an integration with this third-party app, you could use Nova's app search and shortcuts to jump into a specific place or page inside more than 20 apps. For WhatsApp that means specific conversations, for Netflix it's about movies and shows, and there are more granular links for Spotify, Waze, Yelp, YouTube, Tasker, Reddit, and so on. Now that feature is out of beta and ready for primetime. If you want to give it a try, Nova 5.4.1 should already be live on the Play Store for everyone, but you can also grab the file from APK Mirror. You'll also need the separate Sesame Shortcuts app to see that particular feature.